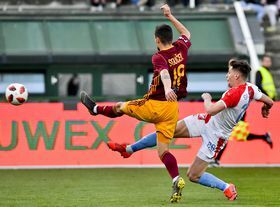 Dukla Prague - Slavia Prague, photo: ČTK / Vít Šimánek Slavia Prague remain seven points clear in the Czech football league with only three rounds to go in the regular season. 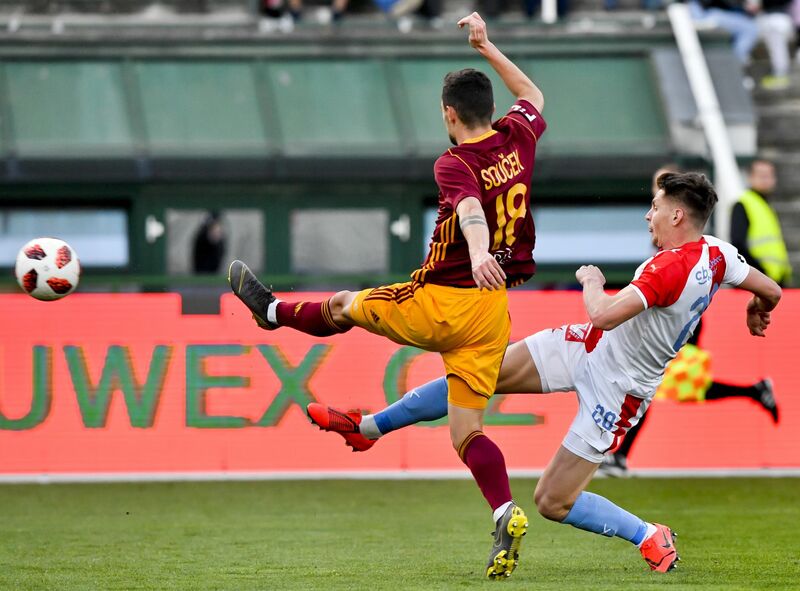 Slavia travelled across the capital on Saturday to take on Dukla and made light work of their local rivals as they ran out 5:1 winners. The leaders had effectively sealed all three points by going 3:0 up within 22 minutes. Nevertheless manager Jindřich Trpišovský said Slavia had improved after the interval. 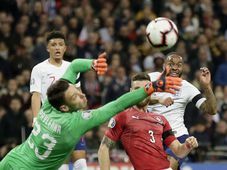 Slavia will be in action again on Thursday night, when they play host to Chelsea in the quarter-finals of the Europa League. The second leg takes place in London a week later. 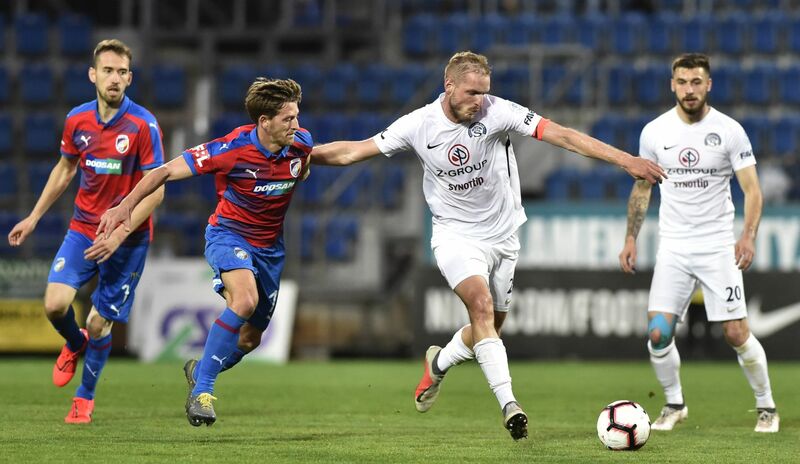 Slovácko - Viktoria Plzeň, photo: ČTK / Dalibor Glück Back in the Czech league, second-placed Viktoria Plzeň beat Slovácko 1:0 and manager Pavel Vrba has been talking up their chances of retaining the title when the top six play one another in a new mini-league to decide the winners. If the order remains as it is, Plzeň would take on third-placed Sparta Prague at home, which Vrba has identified as an advantage. The Czech judo star Lukáš Krpálek won a bronze medal at the Antalya Grand Prix in Turkey at the weekend. The Olympic champion came third in the 100 kg and over category after beating Ushangi Kokauri of Azerbaijan, who has proven a thorn in his side and defeated the Czech at the World Championships among other events. Krpálek had this to say afterwards. Kometa Brno - Liberec, photo: ČTK / Václav Šálek The playoff semifinals in the Czech ice hockey Extraliga are continuing. In their best-of-seven series Třinec are leading Plzeň 2:1, while in the other semifinal Liberec are 2:1 up against Kometa Brno. Both series continue on Monday evening, after the recording of our programme. Saturday’s Prague Half Marathon was won by Benard Kimeli. The Kenyan, who also won last year, set a personal best of 59:07 minutes, which was also the world’s third best time this year. The women’s race was won in 1:05:44 by Caroline Chepkoech Kipkirui, who is Kenyan-born but represents Kazakhstan. 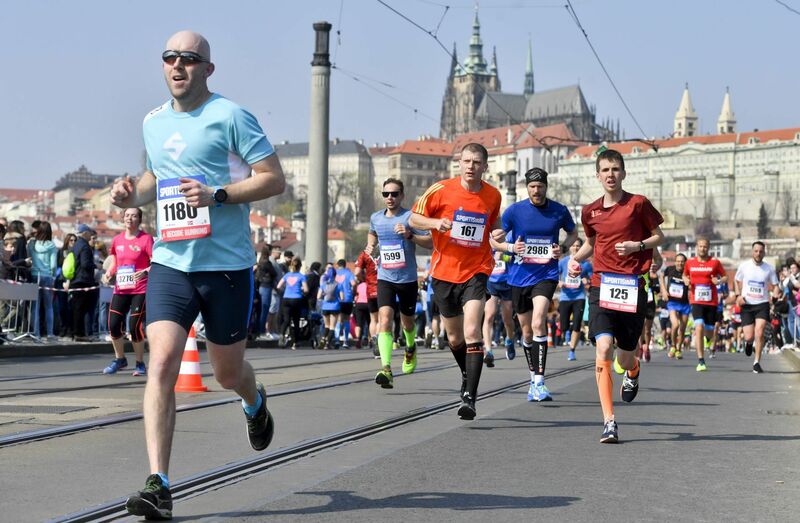 The full Prague Marathon takes place on May 5.